What is Terroir? - City Vino, Inc.
Terroir (tare – WAHr) is used very often in the wine world to but there’s no single definition or consistent use of the word. The basic idea is that the wine has a sense of place and that wine made from the exact same vine planted anywhere else would be different. To some people, it is the combined effect of the climate, soil and other environmental factors of a specific place that give a wine its distinctiveness. The specific place can be a whole region, a specific vineyard or sub plot within a vineyard. Factors such as the amount of sunlight and heat, the amount of rainfall and degree of soil drainage, and elevation all influence the development of different flavors and levels of tannins and acids in the resulting wine. This is why Malbecs grown in the cool, dry, high elevations of Mendoza, Argentina, develop higher acidity, more floral aromas and not quite as much tannin as Malbecs grown in Bordeaux and southwest France. Some people use terroir to describe specific flavors in wine as related to the place it is from. For example, people talk of Pouilly Fume (Sauvignon Blanc from the region of Pouilly Fume, within the Loire Valley in France) having a gun smoke or flinty flavor from the flint soil, or German Rieslings having a slate flavor from the slate soil. There’s no evidence that there is a direct transfer of material from the soil to the grape that would account for such flavors. However, science is trying to find a connection between microbes in the soil and flavors in wine. The influence of the winemaker can have an impact on how well the terroir of a wine shows through. In some regions of the world – Burgundy, France, for example – many of the winemakers will use similar and commonly accepted techniques that contribute to the style of wine associated with that region. 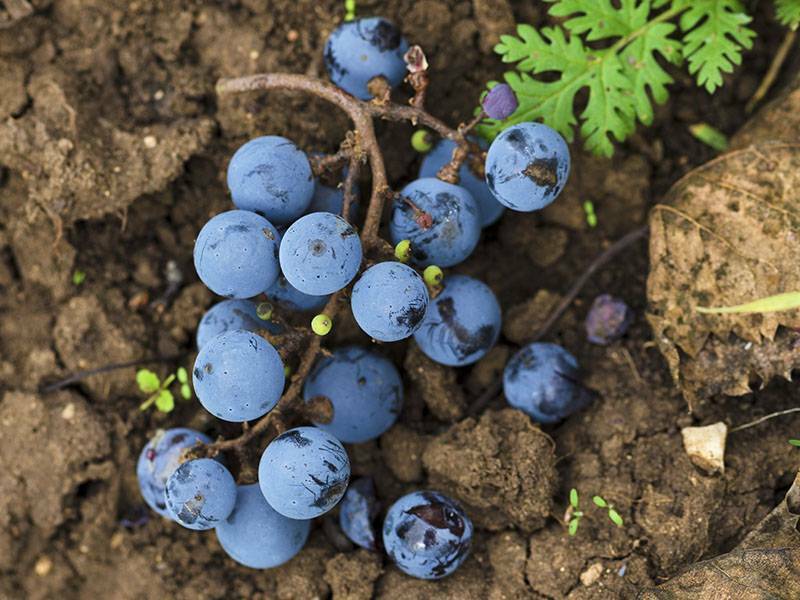 Not everyone agrees that the winemaker’s influence contributes to terroir, but it’s generally accepted that too much influence from the winemaker can obscure or completely erase terroir. Excessive blending and processing of large commercial wines virtually erase terroir in the name of creating a product that is crowd-pleasing and consistent from year to year.